An exciting four-episode adventure! 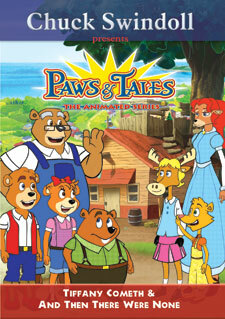 Join the Paws & Tales gang as they experience the biblical story of Esther. This thrilling drama will have your whole family cheering for Esther and discovering again God's great love for us! The Bible comes alive through story and song in this four-episode collection that will have you cheering for Esther and discovering again God's great love for us! Delightful songs throughout these CDs are Disney-quality sound. Very professionally done! Your quickly be singing along with the enclosed song sheet.